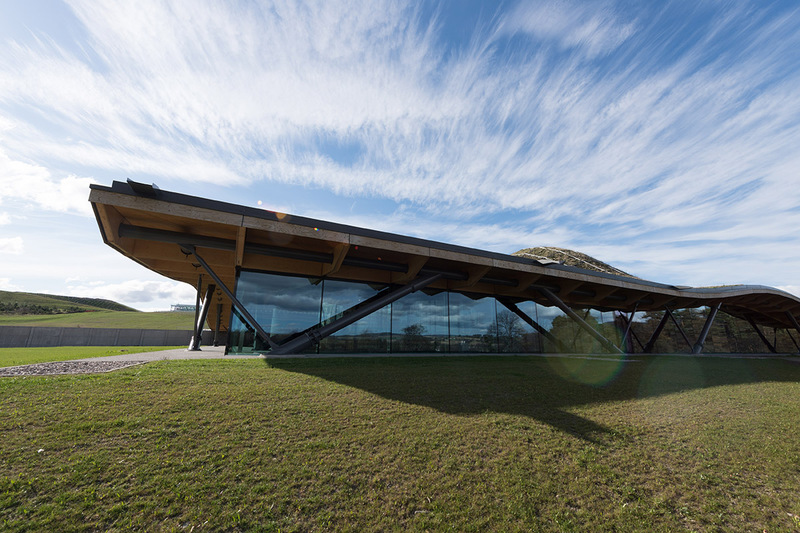 The long awaited state of the art Macallan Distillery has finally been unveiled last week Since 2016, we were treated to the occasional glimpse of the contemporary distillery’s facade while construction progressed in secrecy. 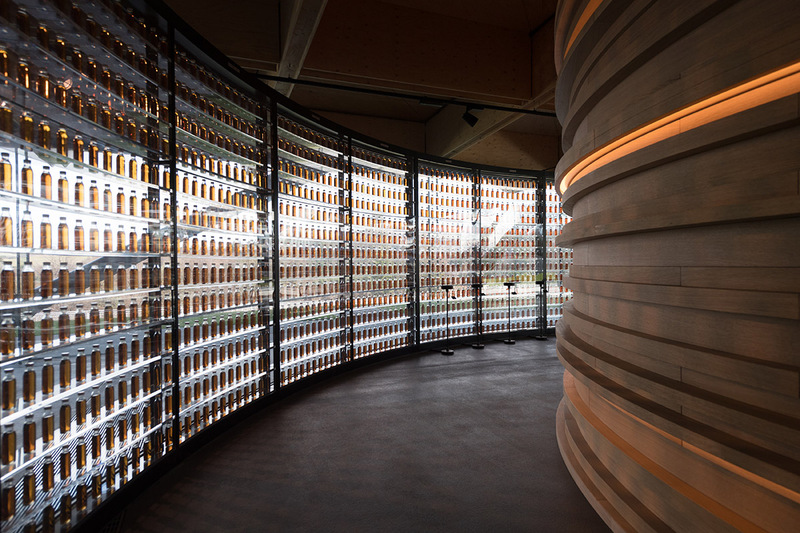 We at Jakarta Whisky Research Society have been holding our breath ever since, excited for the day we can see the interior of the £140 million distillery – today we have it, and it didn’t disappoint! Part Bond villain-esque ultra modern lair, part green space, it is definitely an architectural icon. Well done Mr. Bond, you’ve found my hideout: Architecturally impressive inside out. © Ian Gavan. The Impressive Library of Macallans. © Ian Gavan. Exterior of the Distillery. © Ian Gavan. This architectural behemoth is undertook by Elgin-based Robertson Construction over 3 and a half year, working with 25 contractors to bring the vision for the new distillery and visitor experience to life. 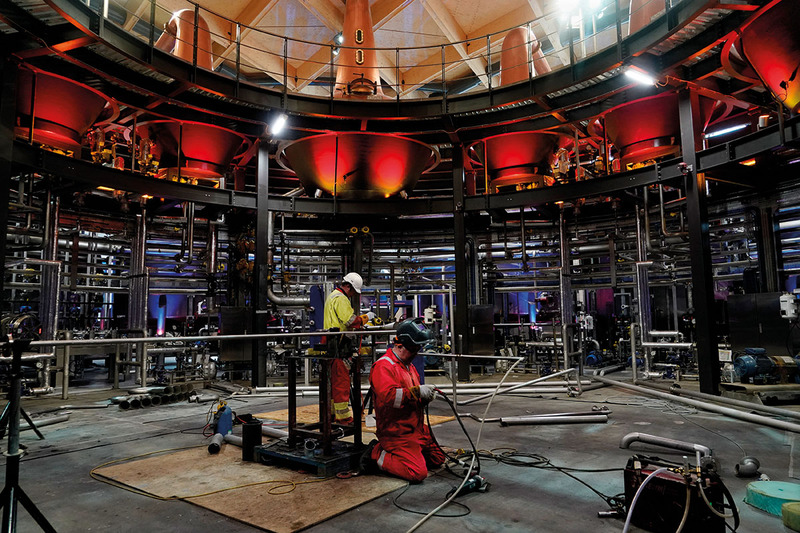 During construction, up to 400 people specialising in more than 20 different trades were employed on site! 400 specialists! I don’t think Indonesia have seen an architectural project as detailed as this yet. This new extension will increase The Macallan’s output capacity by another 30% and create 60 new jobs to the local community. 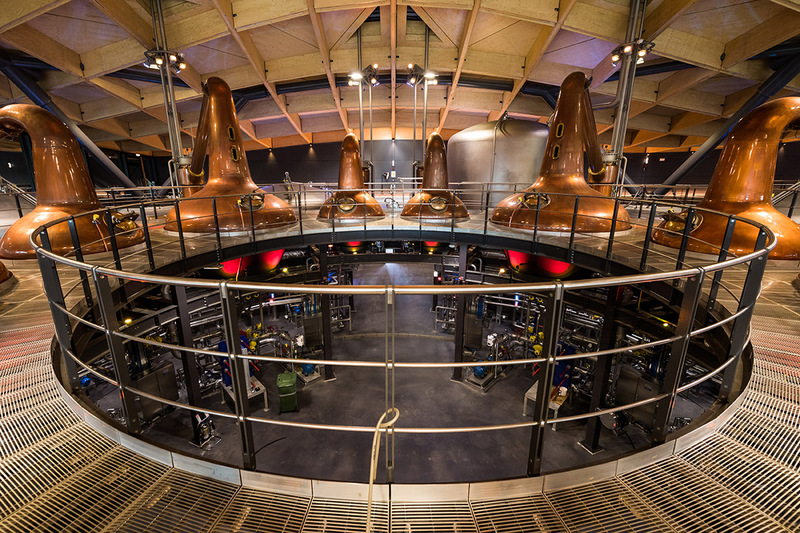 The Distillery and visitor centre will open to public officially on June 2, so if you happen to be in Scotland, make sure to have a look. To us in Indonesia, gather your friends this weekend and raise a dram to The Macallan to congratulate this historic milestone and be part of the celebration.